Google Chrome First Impressions | Dan Moore! They give you the ability to change the search engine, and other options, easily. It definitely follows a Macish configuration processs–you don’t have to apply or save the config changes you make, you just make them and close the options screen. As Farhad Manjoo mentions, there is a lack of addons. (Addons are pieces of functionality that are extend the browser’s behavior [think adblock], as opposed to plugins which extend the browser’s ability to handle content [think flash]). I didn’t see much about addons or plugins for Chrome searching today, other than some strong desire for it. I don’t remember any mention of addons in the comic book or on the Chrome website. Also, as Manjoo mentions, opening a new tab by clicking next to the existing tabs doesn’t work (though there is a plus icon up there which it should not take too long to get used to). The custom start page seems pretty neat, with the ability to have bookmarks not in a pulldown menu, but right on the start page, which also includesthe ‘most visited’ sites. 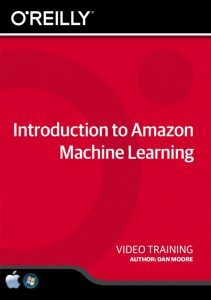 Machine learning of this type can be a great time saver. Finally, Cringley has some interesting comments on Google’s motivation.